The Top 10 Ways To Easily Unlock Hidden Value In Your Home’s Old Bathroom - Beautiful Baths | Remodeling Made Easy!Beautiful Baths | Remodeling Made Easy! « Has Your Throne Lost Its Luster? A bathroom renovation is one of the best ways to add value to your home. If you are looking to sell your home, next to the kitchen, the bathroom is one of the most important places where potential buyers will look for value. And even if you are not thinking about selling your home, updating your bath is just a great way to improve your quality of life. After all, where do you begin and end your day? Not everything you do to your bathroom will add value, so you have to be choosy. With that in mind, here are some updates you can make to your bathroom to add some real value to your home and to your life. No matter what your style, if you can go for a classic design, your bathroom will retain its value much, much longer. How often do you plan on renovating your bath? If you get something that is too trendy or specific, it may be out of style before you are even done renovating. Go for a simple, classic design. It will still be appealing years down the road. You may love the colour red, but looking at a red shower every day may get to be a bit much even for the most ardent connoisseur of colour. A better way to go is to design your bathroom with a neutral colour palette. Earth-inspired tones will feel more harmonious not only for you but for potential buyers if you are interested in selling. And if you need bright colours, buy towels or a shower curtain that satisfies your craving. It is so much easier to replace a shower curtain when you are tired of looking at it than it is to re-tile your bathroom every time your mood changes. It is entirely likely you do not have your own personal bathroom. Chances are that you share that bath with one or more family members. If you only have one sink in your bathroom currently, how much would adding a second sink speed up the morning routine? If you can manage the space, adding a double vanity sink will not only give you more space but will give you more value. Two people can brush their teeth or their hair at the same time. If you do add that double vanity in place of the single you used to have, you will be doubling your under-sink storage space. But the vanity is not the only place where you can add storage. You can always find somewhere to add shelving whether in a corner or on a wall. And if you are lucky enough to have a storage closet in the bathroom, it may benefit from a little updating as well. Things such as drawers, bins and storage racks can improve the storage capacity of any space whether under the sink or in the closet. Not only can upgrading your lighting fixtures add a touch of class to your décor but adding more light can make the space appear larger. You can add recessed lighting overhead, sconces or new fixtures around mirrors. For fixtures that can be seen, make sure that they fit into your overall design scheme. Do not be afraid to pay for a nicer fixture. It does not cost that much more but can really add to your bathroom's appeal. Functional upgrades like storage, and lighting are great option to add value to any space. 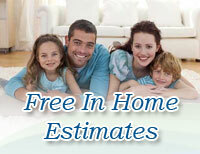 Learn about all your option during your free in-home consultation! Not only is a shower head about look, it is also about feel. A good shower head is worth the investment. A shower head with a “rain” setting can feel like a luxury. There are also low flow shower heads that help to conserve water. If you are worried about your water bill, consider an eco-friendly shower head for your bath. Take careful stock of your options before choosing. Faucets are fixtures that contribute to the overall aesthetic of your bathroom as much as the lighting fixtures. Your faucets should be sealed and watertight. A leaky faucet will turn off homeowners as much as potential buyers. You should also look for a visually pleasing faucet. Chrome and shiny finishes are difficult to keep shiny looking. Brushed nickel and tarnished copper are beautiful and easier to care for as they do not show fingerprints. Tile is a great way to maintain visual interest and give your bath a sturdy, easy-to-clean finish. You can have larger tiles on the floor and penny tiles in the shower. You can create patterns, add decorative pieces among plain tiles, use ceramic or marble tile or do any number of things. Tile can give your bath a high-end feel without breaking the bank. If you do not have much to put into renovations, paint is a simple way to make a radical change without breaking the bank. You can change the colours of the walls. Can't afford new cabinets? Paint can allow you to freshen up cabinets or the vanity, making old things new again. Paint your bathroom a lighter shade to make the space look bigger and give it an airy feel. Small details make a big difference in your bathroom renovation. Like faucets, hardware such as door knobs and drawer pulls can do a lot to add to the overall aesthetic of the space. Paired with a little paint, it can be a low-cost way to make an old vanity new again. Paint your vanity with a glossy finish paint and then add new pulls to the drawers and doors to give your bathroom a completely new vanity at a minimum of expense. Homeowners who renovate their bathrooms are estimated to receive a 75% return on their investment when they sell their homes. Renovating your bath can make the improve your home's appeal to potential buyers. If you want to add value to your home, both for yourself now, and potential buyers in the future don’t hesitate to book your free in-home consultation where we can work with you to design your dream bathroom. 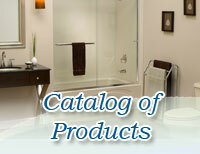 Schedule Your Bathroom Remodel Consult Today! 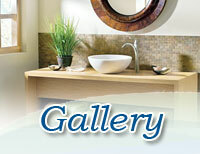 See your options, discover if your dream bathroom is a possibility, and get a quoted price for renovation. Schedule today! B. Archibald, Hlfx ( new tub, walls, faucets, grab bars, sinks, counter top, toilet).